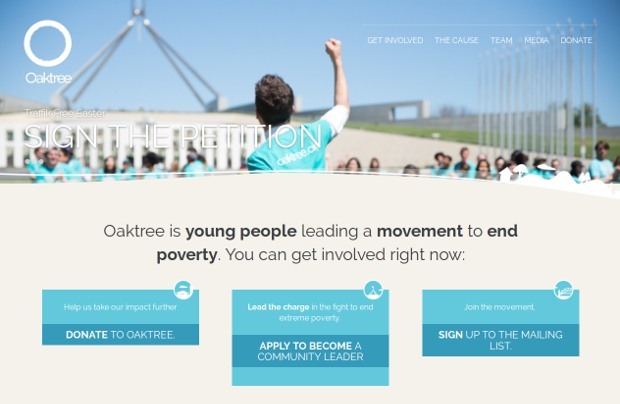 The Oaktree is about young people leading a movement to end poverty. For them, change starts with a simple belief – that extreme poverty is unacceptable. Beliefs turn into action, and enough informed action will build a powerful social movement. Young people have the unique ability to build and lead this movement. And Oaktree is Australia’s largest youth-run organisation with over 150.000 members. Each of their partners empowers young people to break the cycle of poverty, through secondary education and skills training. Education is our most powerful tool to help break the poverty cycle for our peers across the Asia-Pacific. They also work to ensure Australia’s leaders take action to end poverty by connecting them with the diversity of their movement to influence policy change. Campaigning with Oaktree might mean going on a Roadtrip – and building support within key electorates. At other times it might be calling an MP or spreading the word on social media. Regardless of the action, one thing stays the same: they work for a multi-partisan commitment to increasing aid each year.